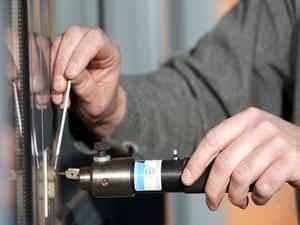 Locksmiths are essential businesses in any location. They’re services residents cannot live without. They offer an irrefutably important service. They make sure that homeowners are safe and secure by providing locks and installing up to date safety systems in a property, from houses and condominiums, to offices and warehouses. At the same time, they can take care of any problems that come up. This includes the need for duplicate keys, fixing lock mechanisms or even analyzing and auditing the lapses and weaknesses of current security devices and setups. 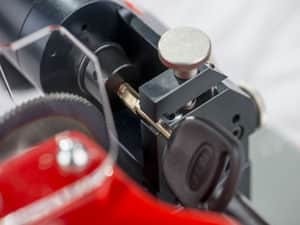 For anyone looking for a trusted, reliable and dependable Studio City locksmith, they won’t have to search any further. 7 Day Locksmith provides viable solutions and the best service in the great state of California. One of the best advantages of this locksmith Studio City is that it providers each and every customer’s lock and security requirements. A lot of other organizations put special emphasis on a certain few services. They only do repair. They only do duplication. They only distribute new security locks and systems. That’s not the same case with our company. We ensure that you won’t experience any inconvenience whatsoever. Our service company provides a wide array of services that is geared towards solving a variety of concerns. This includes the usual locksmith services, for anyone who suddenly and surprisingly gets locked out of their home, car or their working space, ensuring that they get access and entry without any known inconveniences involved. We also offer key duplication services, for the individual who find himself losing their keys or who needs an extra set during times of emergencies. We also offer repair for a variety of lock brand types. As much as we hate to admit it, locks get broken due to a variety of reasons. The strong force of a door closing, misuse and even extreme weather conditions are all contributing factors. Luckily, we can take care of that problem using our skills and tools. We also offer lock consultation, wherein we survey a space’s security capabilities and check if it is up to standards or if it needs to be immediately replaced with newer and better models. Quality is another core component of 7 Day Locksmith and it’s one of the things we guarantee with each of our client and with every single work that we do. As a Studio City Locksmith, we have a team of knowledgeable and highly-skilled team members that have years of experience in the industry. We have handled and successfully solved dozens of problems. This benefits us with the foresight we require to solve any problems. At the same time, we’re continually learning and acquiring new knowledge from the industry, to ensure that the skills that we use in our tasks match the highest standards of the industry. You can trust that we’ll be aware of the newest innovations and the latest developments from the largest and most reputable lock and security companies all over the world. Moreover, this locksmith Studio City CA company fully comprehends the value of the right equipment. We know we are only as good as the tools that we have at our disposal. This is why we use the best tools and instruments that the industry has to offer. This ensures that your locks, the keys we duplicate and the security systems we install are the best there is. undertaking to eliminate their problems. We also understand that their time is valuable, so we ensure that we immediately address their concerns and solve their problems in the quickest and most efficient time possible. Most of the time, locks happen at an odd and unusual time of the day. Sometimes, it even happens when one is late for meeting or work we’ll be sure to get out of your way so you can return immediately to your daily activities. To comply with our commitment to customer support, we also guarantee all the time support. Our services are up for grabs 24 hours a day and 7 days week. We don’t take breaks and we don’t take holidays. If you have a lock problem or if you need key replacements at any time of the day, at any day of the week, you can grab your phone, contact 7 Day Locksmith and get the help you need immediately. Last but not the least, we provide affordable rates for all of our customers. Locksmith services are a necessity. It is important. Most importantly, lock and security problems are a constant problem. They are unavoidable and they happen all the time. Given that this is a regular occurrence, we try to avoid expanding our costs to ridiculous degrees. Our prices are affordable and practical. They are not expensive and they will not, in any way, hurt your wallets or savings. Best of all, you still get premium services. Locksmiths are important especially if you are taking care of a home or if you’re managing a property. They can solve problems and even create certain system protocols that would prevent concerns from exploding out in the open. Due to their importance, it is vital that customers get the best one there is in the Studio City area. Contact 7 Day Locksmith at the soonest time possible and get the chance to experience the many awesome and wonderful advantages one can receive when choosing our company and our team. We’re certain that you won’t regret it, like the hundreds of clients that we have already helped. As a locksmith Studio City company, we guarantee professionalism. We ensure that our customers are taken care of. We serve to make them happy and eliminate each and every one of their worries. We listen to every problem that they have, take time to explain what is happening and the proposed solution and inform them of the process we are undertaking to eliminate their problems. We also understand that their time is valuable, so we ensure that we immediately address their concerns and solve their problems in the quickest and most efficient time possible. Most of the time, locks happen at an odd and unusual time of the day. Sometimes, it even happens when one is late for meeting or work we’ll be sure to get out of your way so you can return immediately to your daily activities.